Vanuatu continued their dominance at the Pacific Mini Games overnight as they downed Tonga 5-0 to secure their second win of the tournament, while Solomon Islands and Fiji played out a goalless draw. Once again Tonga conceded quite early in the piece with Vanuatu captain Jacky Ruben getting the finishing touch on a scramble in the Tonga goalmouth in the 12th minute. Azariah Soromon continued his form from Vanuatu’s opening encounter, scoring either side of the half before being replaced by Alex Saniel in the 78th minute. The change opened up the park for Soromon’s strike partner Tony Kaltack who struck twice to take his side to five. The victory took the home side to the top of the leader board after Solomon Islands and Fiji were forced to take a share of the points in their match. “It was disappointing for us not to bury our chances in such a game like this but hey, after seeing what we did in the field and how we connected well the patches in between the game, I’m optimistic that we will better our performance,” Solomon Islands captain, Henry Fa’arodo Jnr said after the match. 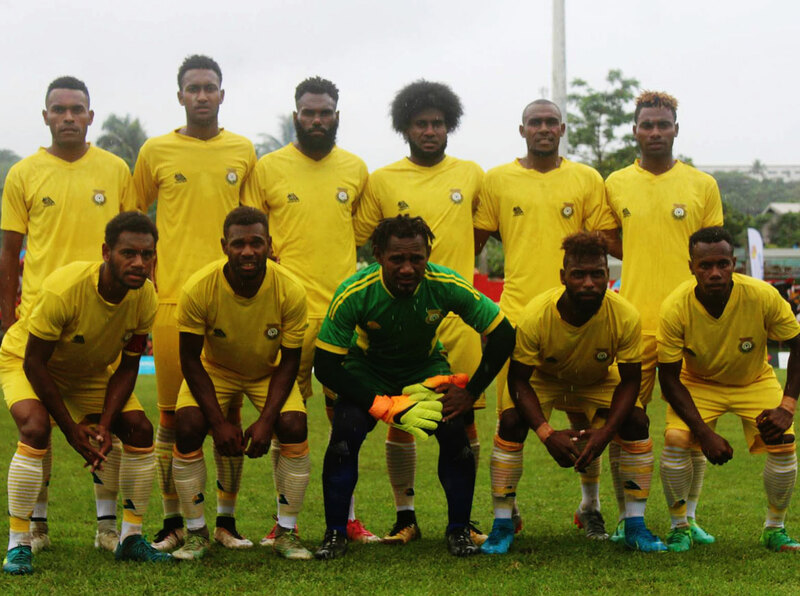 The men’s football tournament takes a two-day break and will return on 9 December at Port Vila Stadium with both Tonga and New Caledonia chasing a first win when they meet at 9am. Vanuatu will play Fiji at 12pm before Solomon Islands take on Tuvalu at 3pm.